Not very Xmas-y, but what can you do? According to the 40K fluff, all of the original Chaos Marine Legions bumped off their Chaplains during the Horus Heresy. The Word Bearers held onto their guys (they became Dark Apostles if memory serves. Big into their false idols those Word Bearer scamps). 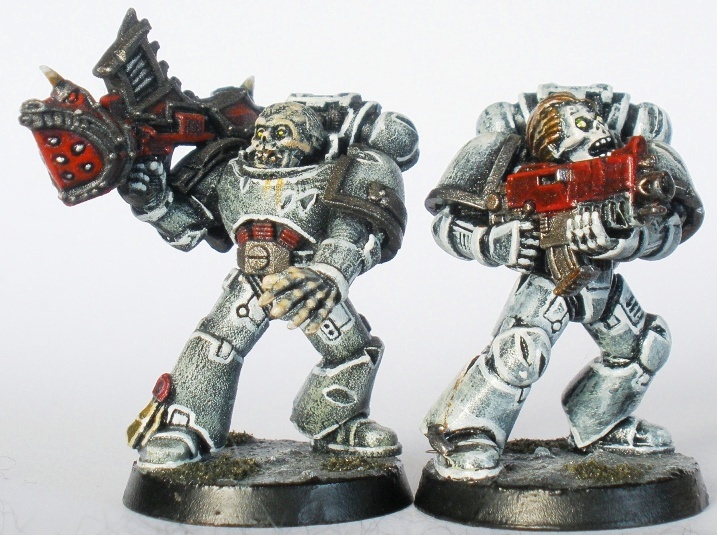 While I understand that GW wanted to give the Chaos Marines their own identity and feel, I do think that the idea of a eeevil Chaplains of the Dark Powers leading Space Marines into battle is potentially fun. With that in mind I put this guy together on a whim in 2001 or so. 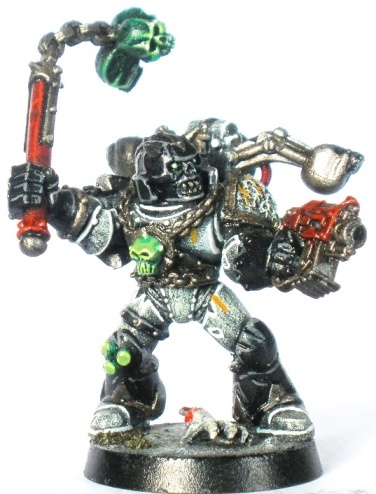 Brother Chaplain Bakul is entirely plastic and is covered in enough skulls to make a rocker blush. It reinforces the Chaplain skull motif I suppose, although spiky skulls are perhaps my least favourite element of GW Chaos stuff. 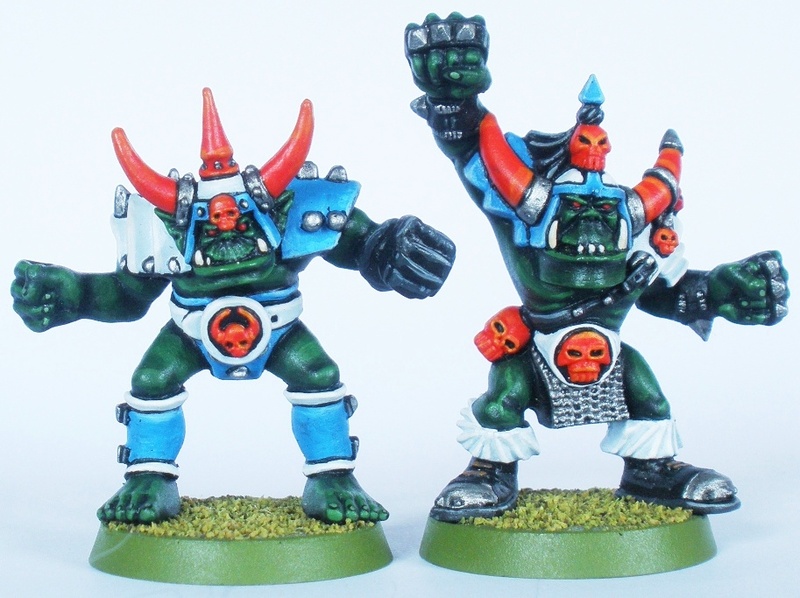 I don’t like the way that GW have canonised the colour schemes for Chaplains (black), Librarians (blue), Techmarines (red), Apothecaries (white) etc. I think that the additional colours can ruin a palette and are often unnecessary. Additionally, GW policy seems to be to cover the relevant miniature in that colour when perhaps just a little of it would suffice (for a good example check out the jarringly blue Librarian that features with the Blood Angel Terminators in 3rd Ed Space Hulk. It ruins the effect in my opinion. 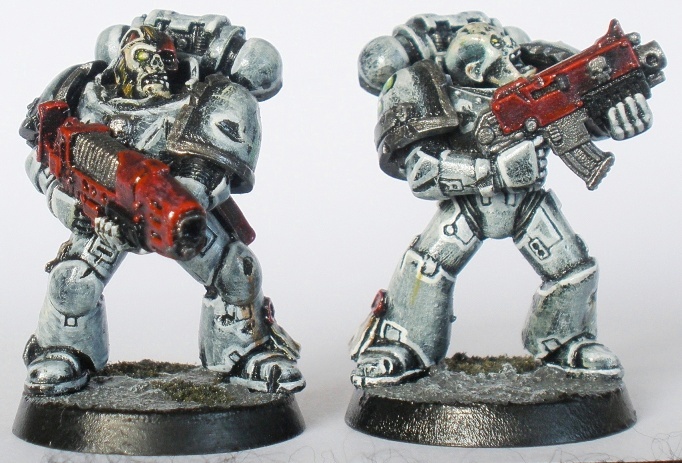 And don’t get me started on the Blood Angel yellow helmet=Assault, blue helmet=Devastator thing. Ugh). 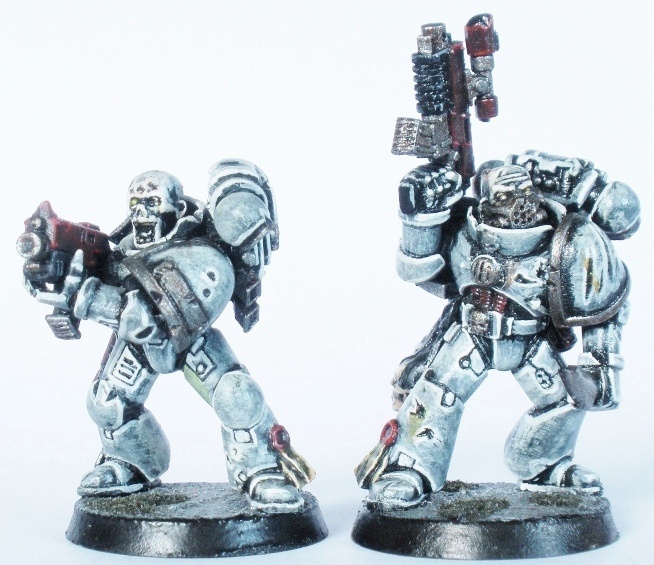 The Chaplain is the least offensive of the marine specialists in that regard as adding some black to a scheme isn’t as disruptive as adding an actual colour to it. 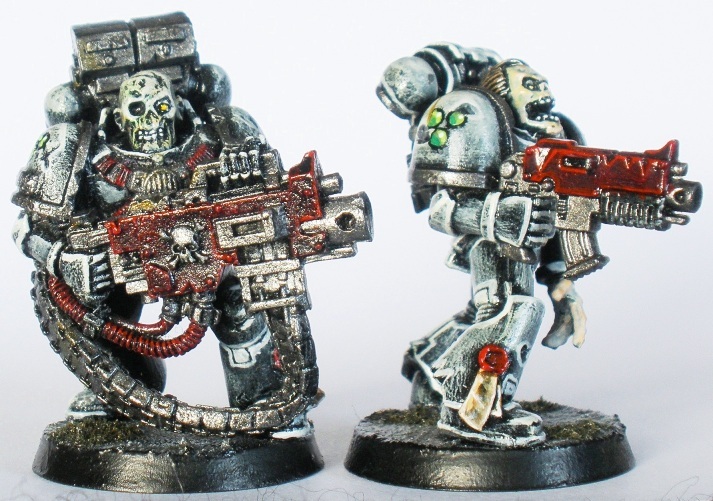 Still, when I added a Chaplain to the Sin Eaters I wanted to use the minimum amount of black to make him stand out a bit without ruining the army uniformity. I think that it worked fine. Not brilliant, but not awful in my opinion. “Bakul” apparently means “sweet smelling”. Ho, ho, ho etc. 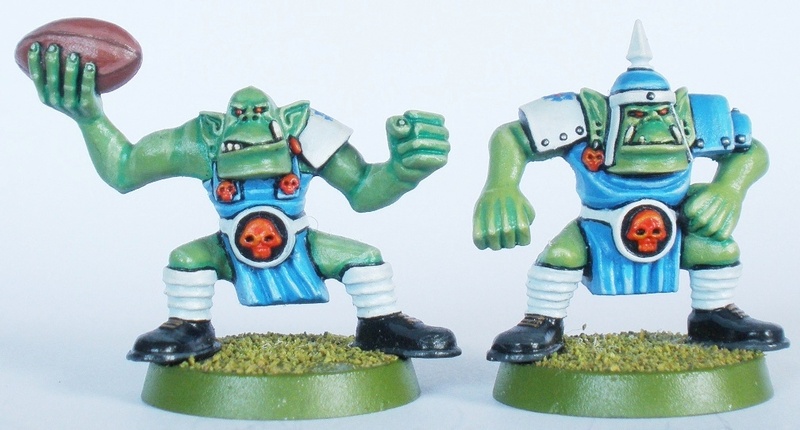 More of my orc Blood Bowl team continued from last week. Note the pogo stick and chainsaw guys above. 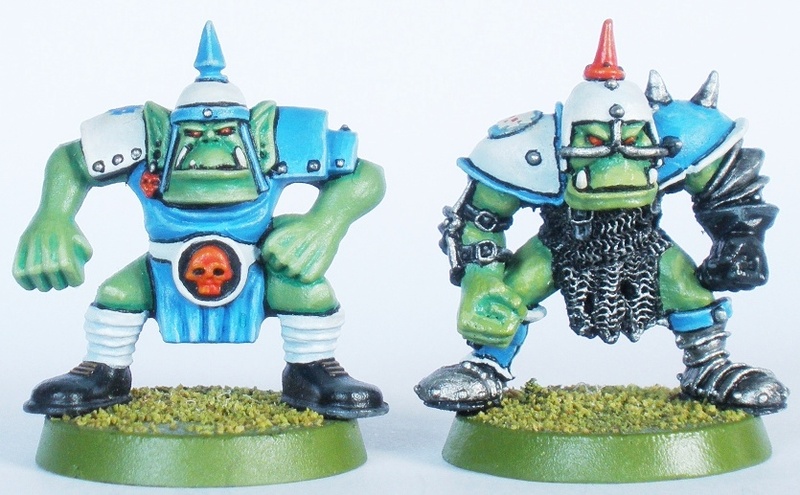 On the other hand please do not note the chipped paint on the middle goblins spikey helmet. Thanks. 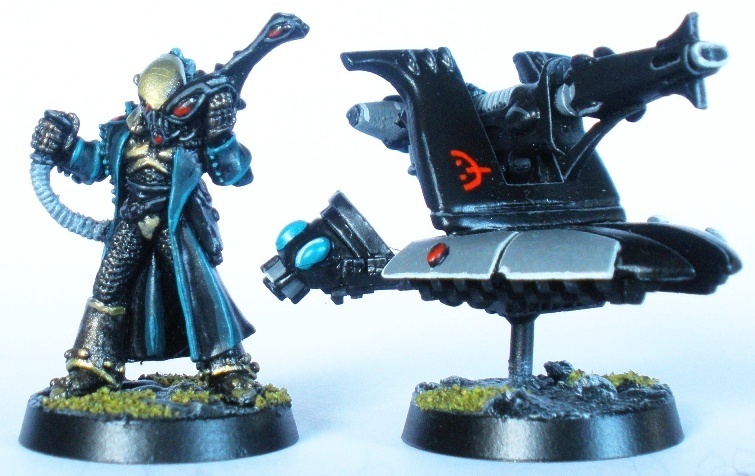 The first army that I painted for 40k back in my teens was Eldar. I have always been more interested in the creative side of the hobby than the gaming (although I love that too) and as such always chose what forces to play based on one of two things: either they were the figures that looked the nicest to me (Eldar) or that I thought that I could have a lot of fun with them as a modelling project (Sin Eaters). I played a lot of games with the Sin Eaters and they were pretty well regarded aesthetically. 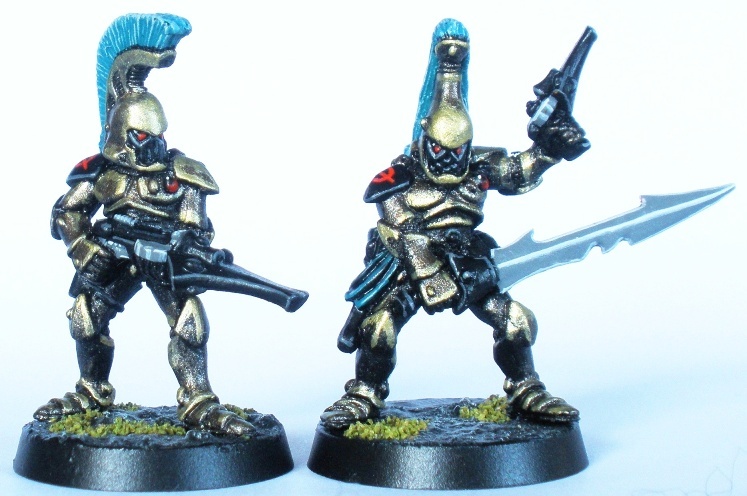 That meant that when I finally got around to doing another Eldar army that I wanted to do “a good job” on them. The Sin Eaters each took a very long time to paint and although it may not look like it, the Iacon guys possibly took even longer. Painting that gold took ages and it doesnt even show. Oh well. They still look good I think, they just dont really look as good as they should considering the time spent on them. This army was a turning point for me when I decided that the painting methods that I was using were too time consuming and that I needed to rationalise the process more. That principle has continued up until the present day. There is a vaguely Egyptian theme running through the force (it isnt really that visible other than colour choice in Squad Nephtys) that should hopefully be more apparent in some of the other units. The hand painted symbol on the cannon fairing is repeated on the right shoulder plate of each squad member. Although the plates used varied from squad to squad, that variable glyph motif continued through the whole force. 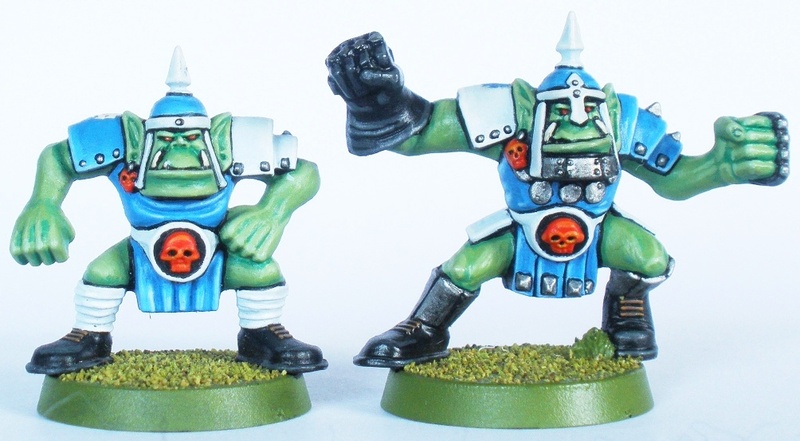 Nurglings featured in my Sin Eater Chaos Space Marine army from day one. For some reason which I cant put my finger on I have liked (if that is the right word) them since I first read about them in 1989. Its probably the fart and other biological function jokes. I spent way more time painting these than they really required. I like them though. 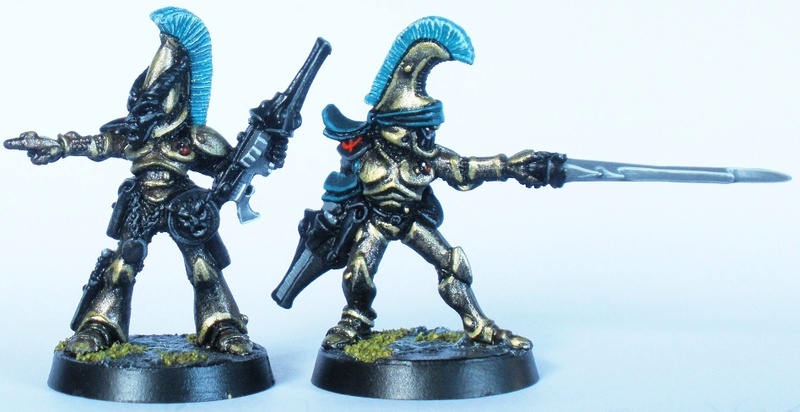 They variety and character in the figures made them painting them more entertaining than it would normally be. 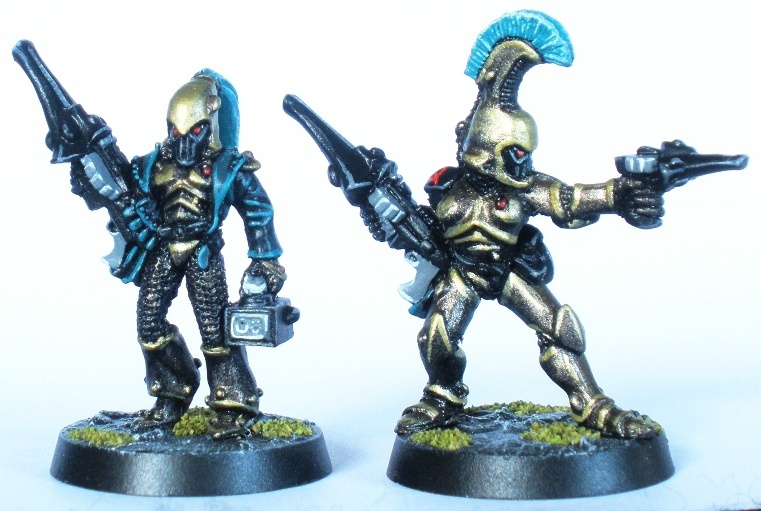 They were originally based on large GW titan bases, in preference to the horrible square WHFB bases that they were supplied with. 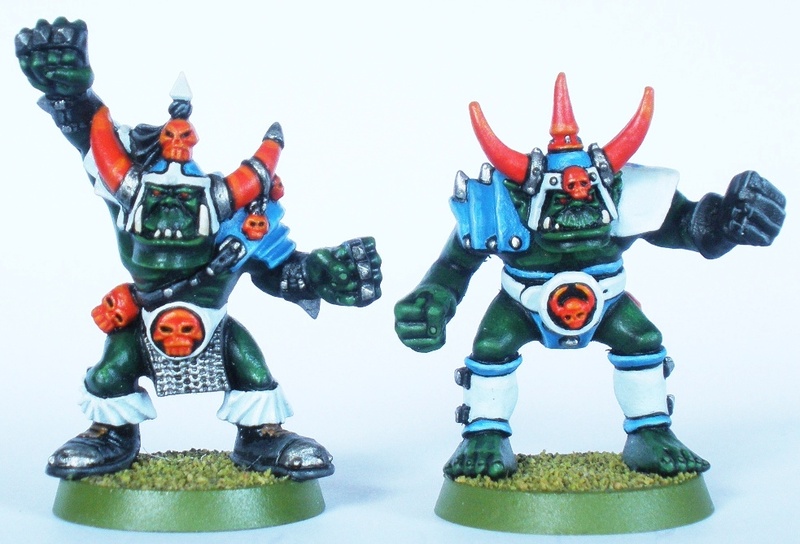 Once the large, circular 40k base was released I rebased them (and turned four bases into eight in the process). Go me. 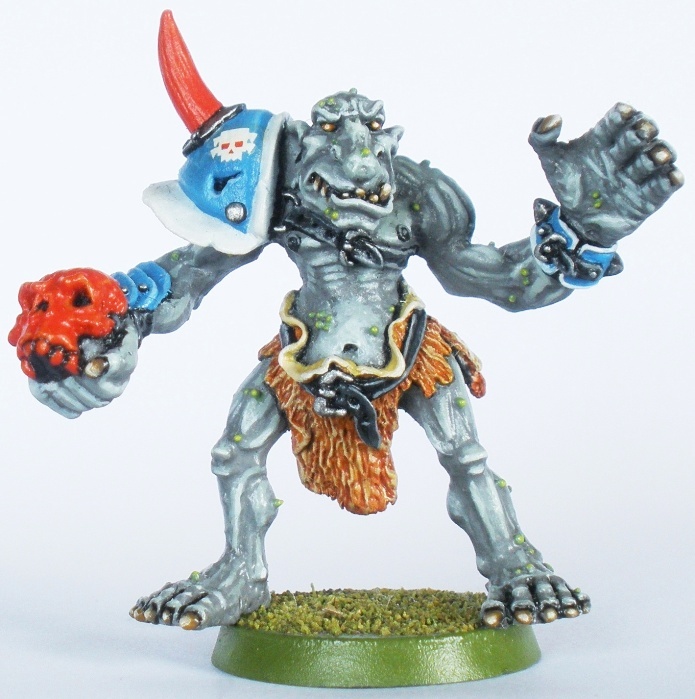 Blood Bowl is one of, if not the best game that GW has ever made, right up there with Space Hulk. The rules are fun and reward good play, even though luck always plays a part. I would play the game a whole lot more if it didnt take way too long, almost always over two hours. The fact that the result after that <two hours of brain burning activity is often apparent after five minutes compounds the game length issue. 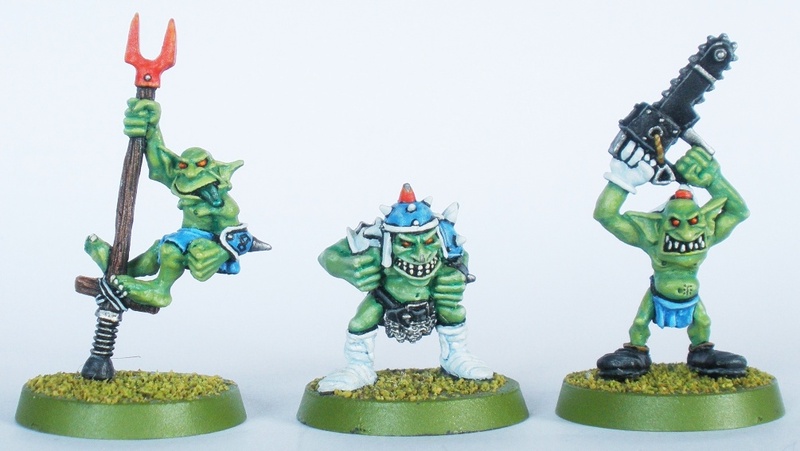 Regardless, Blood Bowl can be really great fun and as a result I have quite a few teams painted up. The one painted to the highest standard is the Clogheen Cannibals. They worked out pretty “clean” looking for an orc team, but at the time I was pushing my blending and other painting techniques hard. It show mostly I think, most of the figures are technically pretty good. The rest of the team to follow next week. Although Marine squads usually max out at ten men I have painted up a few extra for Squad Rico. They are marines with different heavy weapons, giving me more flexibility when picking a force. That sort of extra flexibility is always something that is on my mind when preparing miniatures for games, but it rarely works out as comprehensively as it did with Squad Rico. The Missile Launcher above comes from an old (’89 or so) GW Chaos Heavy Weapon sprue. It is probably most familiar from its inclusion in the Space Hulk: Genestealer expansion. The Hybrids had a few. 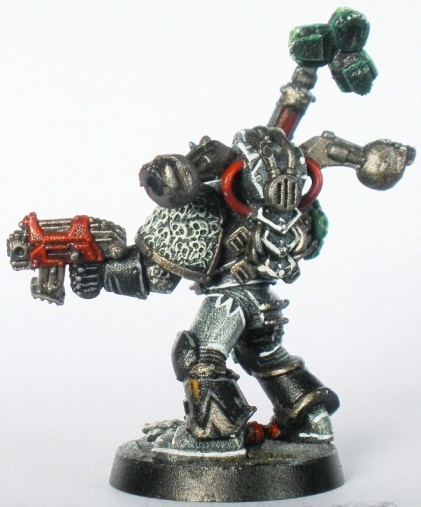 The Heavy Bolter armament above is pretty cool looking (and would be all the more so only for that annoying shine…): its a cool model. 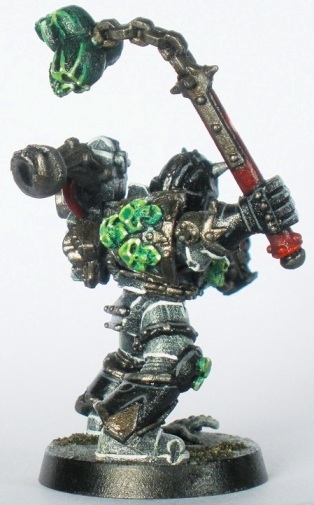 The hand painted insignia is easily visible on the right hand guys shoulder pad.